As we know our adorable feline friends spends up to eighteen hours each day sleeping. That’s why they need their own cat beds. Cats are always seeking a warm and cozy spot. Cats crve a feeling of safety and security. By giving him/her own cat bed, your favorite cat has a place to call its own and cuddled up in when the family won’t leave them alone. 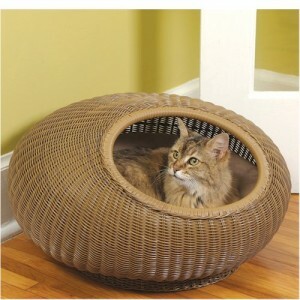 You can even position the bed so that snoozing and watching the birds outdoor are possible fro the same comfy zone. Having his/her own cat bed will elimate the pouncing on your head and waking you up. It can also elimate them from leaving a pile of fur behind, plus the fleas they might carry. So do yourself a favor, get them their own cozy bed.